The CASCADE CHORALE is a one credit class that meets Tuesday evenings at Central Oregon Community College. 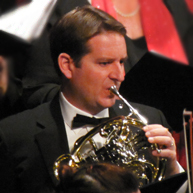 Each school term features new repertoire, membership roster, and concert. We welcome everyone who enjoys singing with a large group (SATB) – contact James Knox about joining us! Mondays and Wednesdays 8:30-10:00 a.m., plus Mondays 3:15-4:00 p.m.